Perfect Lemon Bars will be the best lemon bars that you ever make. The shortbread crust topped with a tart and rich lemon center and finished off with a sprinkling of powder sugar. 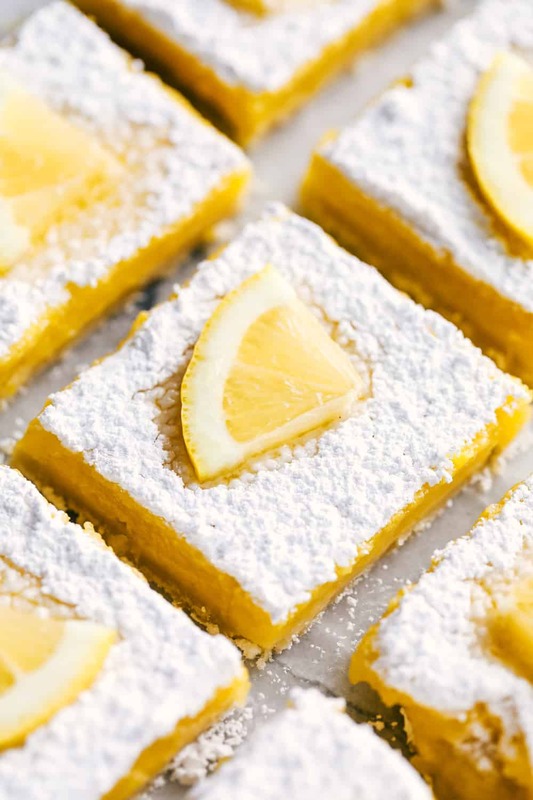 Lemon bars are a love or hate relationship. You either love them or you don’t. I for one, LOVE lemon bars. Like I am obsessed with them! I am the first to grab a lemon bar at any gathering. They are so dang good with that shortbread crust and that tangy tart lemon center. My hubby, on the other hand, hates lemon bars. So I make them any opportunity that I can to feed a crowd. You will not find a better lemon bar recipe than this one. I have tried several and these are my requirements. A buttery shortbread crust with enough custardy lemon filling on top. I like the perfect ratio of shortbread with the lemon filling. 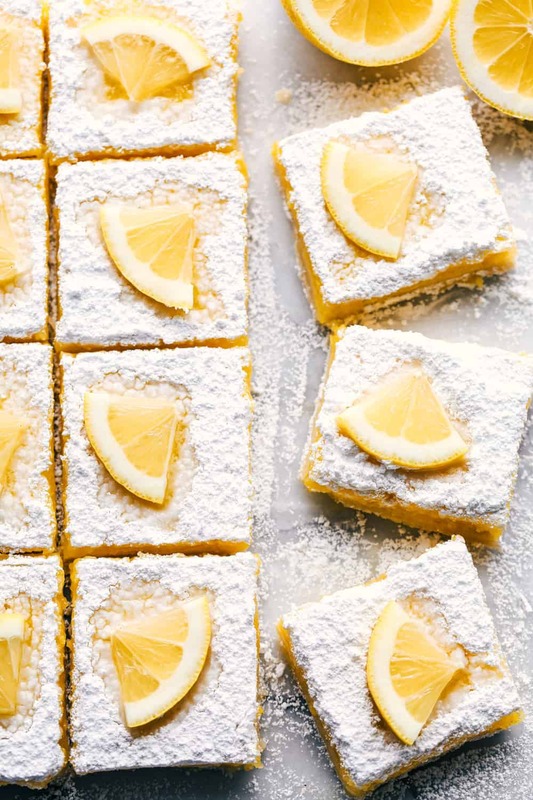 And these are everything you have ever wanted in a lemon bar! I can even get my lemon hating husband to eat these bars. How do you make lemon bars? You start by making the shortbread crust. Then while the crust is baking you make the lemon filling. You pour the filling over the hot crust and continue to bake until set. Once they are cooled, you sprinkle the top with powdered sugar. How do you cool lemon bars? Once you remove the lemon bars from the oven, let cool to room temperature for at least two hours. You can store lemon bars tightly covered at room temperature or in the fridge. But the flavor of the bars improves with refrigeration. Perfectly baked tangy and sweet lemon bars! In a large mixing bowl, beat butter and confectioners' sugar until blended. Slowly beat in 1 1/2 cups flour. Press into the bottom of a greased 13x9 pan and bake for 18-20 minutes until golden brown. While baking, in a small bowl whisk eggs, sugar, zest, lemon juice, milk and remaining 3 T flour until frothy. Pour over the hot crust. Turn oven to 325 degrees and bake an additional 18-20 minutes until the top is lightly brown. Cool completely on a wire rack. Dust the top with additional confectioners' sugar. Cut into bars and refrigerate leftovers. These look delicious and I agree lemon bars are totally one of those love/hate foods. Especially, if they aren’t good! I bet these Re so good though! OMG!!! Just made these and I can not believe how simple and delicious this recipe is. 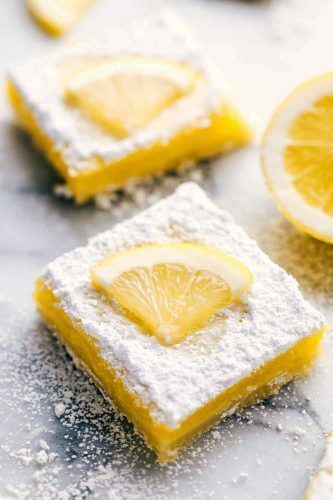 Lemon bars are my favorite dessert and I have never found a simple recipe I could do on my own. Thank you so much for posting this and I look forward to trying some of your other recipes soon! I’m sorry. I don’t mean to be rude but, you never mentioned how much this recipe yields. Or does that all depend on the person cooking it. I presume it is the later one, but I just want to be sure. . . These were delicious and SO easy to make! I love lemon bars and these were perfect. Thank you!! I reduced the sugar to 1.5 cups and added the zest of one lemon. I also poured the lemon / egg / sugar mixture over the crust while it was still hot and reduced the second baking time to 20 minutes. They came out perfect. I’d been looking for a recipe similar to my grandma’s (no cream cheese, baking powder, melted butter) and this was spot on. I like to use skinny taste.com or myfitnesspal.com for any nutritional information. Hope that helps you find what you are looking for. Would love for you to listed the nutritional value.